There probably aren't huge numbers of Boxing Day shoppers scouring flyers for a deal on a 4K Ultra HD TV, the next standard of high definition video. Dec. 26 is a day for seeking out bargains and history has shown crowds of consumers will shiver for hours in the cold if it means snagging a cut-rate TV — even if it's a low-end model made by an obscure manufacturer — for a few hundred bucks. 4K Ultra HD TVs, which display four times as many pixels as 1080p HD TVs, will attract a different kind of shopper. 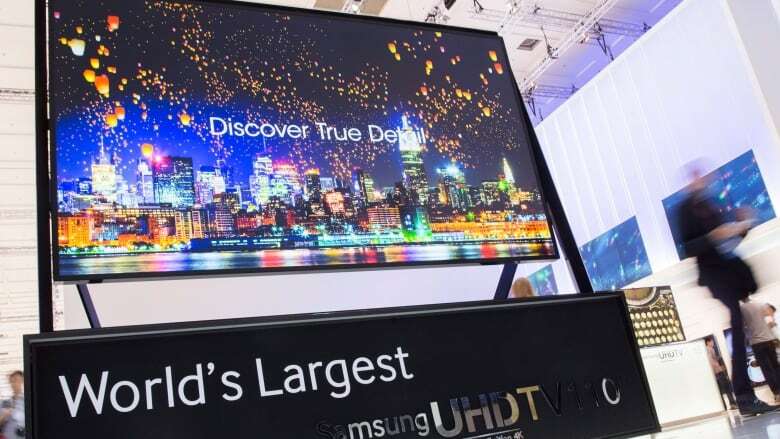 The cheapest 4K Ultra HD TV sold through a big box store retails for about $4,000 for a 55-inch set — when it's on sale — while the top-of-the-line 85-inch model made by Samsung goes for a dollar shy of $40,000. That's not a typo: $39,999, plus tax. And much like when the original high definition TVs first went on sale, there's not a ton of content available to take advantage of the new standard. Netflix hopes to change that, at least gradually. Unlike 3D TV, which has been a total flop, Netflix believes 4K adoption is inevitable and is investing in producing and delivering Ultra HD content. "Whether it takes 18 months or five years people are going to adopt this technology. It's something we want to be on the forefront of, it's our guess that ultra high definition is going to happen in a pretty significant way, unlike 3D," said chief product officer Neil Hunt in an interview earlier this year. 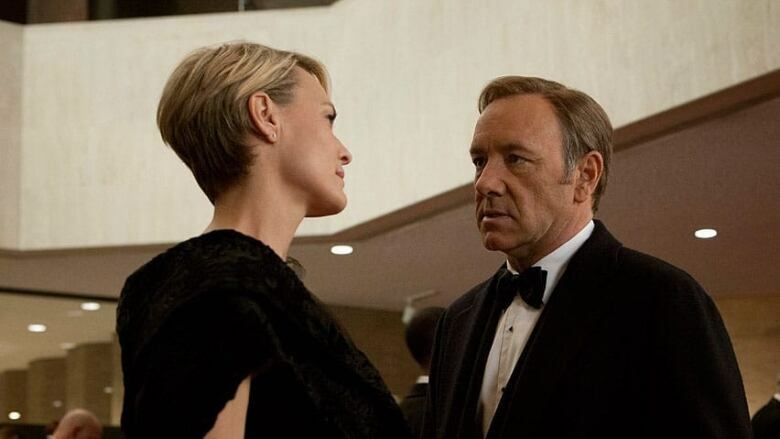 "We're not doing everything [in Ultra HD] but certainly the significant stuff, so House of Cards is one of those things we're shooting in 4K. And as we look to new shows, we have a couple of other things lined up for shooting later this year or early next year that we hope to be doing in 4K as well." For those who haven't seen 4K Ultra HD in person yet — which is most consumers — Hunt promises the enriched level of detail will be impressive, which is posing challenges for filmmakers. "We certainly found even with some of the original stuff we've done that the sets didn't stand up to ultra high definition," he said. "So it really is something that starts right with the cast and the makeup and the set and then the cameras and the editing and the special FX all the way through to the coding, the staging, the delivery." Of course, data consumption will be a major concern when Netflix begins offering the new format to customers. The current highest quality stream eats through about 2.5 gigabytes an hour, while an Ultra HD stream is expected to use up to seven gigabytes an hour. It would also require a very fast and steady Internet connection to play without buffering, but Hunt believes ISPs will be offering more robust plans by the time Ultra HD is ready to be fully rolled out. "Moore's Law is the rule of thumb that says technology seems to advance by doubling in price performance every 18 months and you can pretty much plot the performance of broadband on that spectrum over a 10- to 20-year period and it does seem to track," he said.